Treasures and factoids from the C&C Archives abound during our Centennial year. Learn something new about our historic, groundbreaking and always interesting school. Come back often...we'll be digging into our past and looking at the future with new tidbits throughout the year. 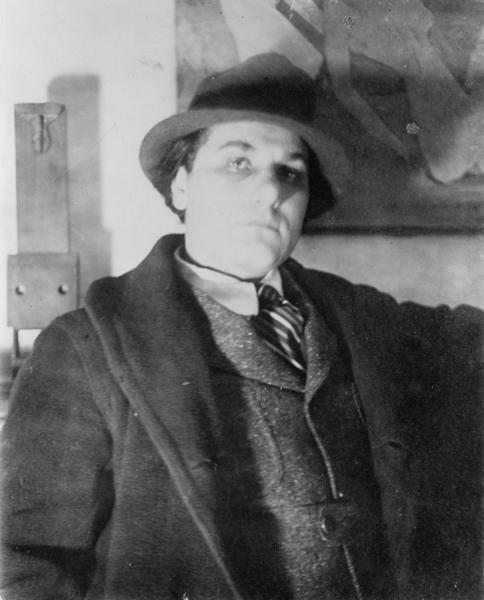 Groundbreaking Greenwich Village artists of many styles found a place at C&C during their early careers and our early years? 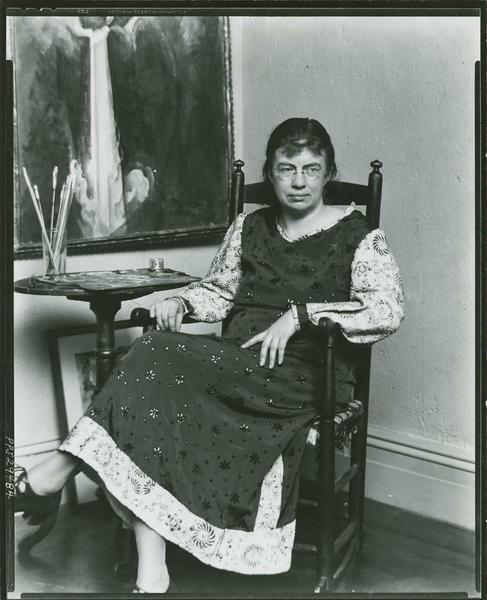 William and Marguerite Zorach were known for their pioneering work in early American Modernism and their children attended C&C in its earliest years, recruited personally by Caroline Pratt. 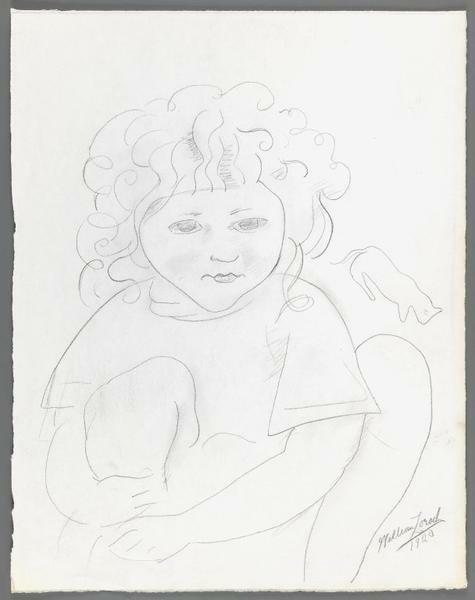 William also became the School’s founding Art Teacher and his daughter Dahlov Ipcar (’31) is known and celebrated for her work in painting, design and children’s book illustration. 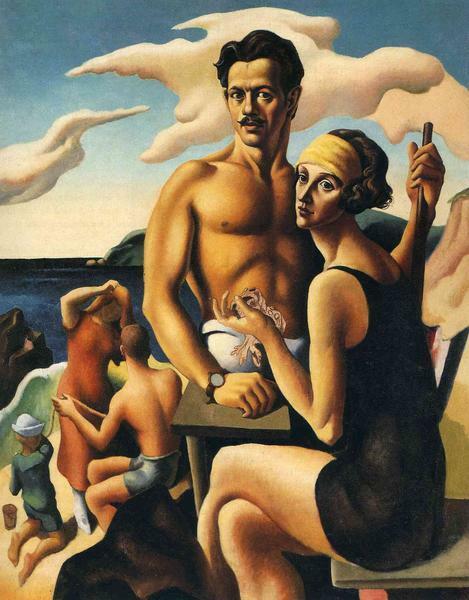 William Zorach also taught at the Art Student League, as did famed regionalist painter Thomas Hart Benton. Benton’s children attended C&C and the family became close to Caroline Pratt and her partner Helen Marot, with whom they were neighbors at their summer homes on Martha’s Vineyard. In fact, Pratt sat for a panel, City Activities with Dancehall, of a well-known Benton mural, America Today, 1930–31. Pratt can be seen on the bottom right attending to a child. 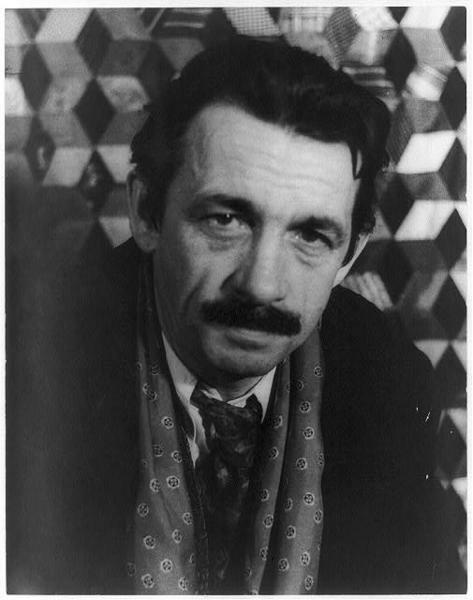 The Pollock brothers studied with Thomas Hart Benton, and Jackson was also a close personal friend of Helen Marot. See below "Did You Know" on the Pollocks at C&C. 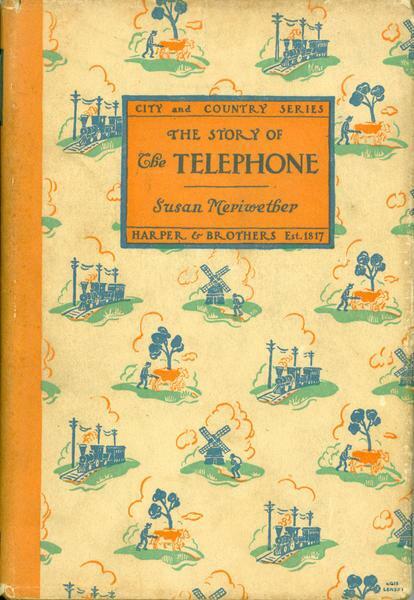 C&C published a series of books in the '20s and '30s? 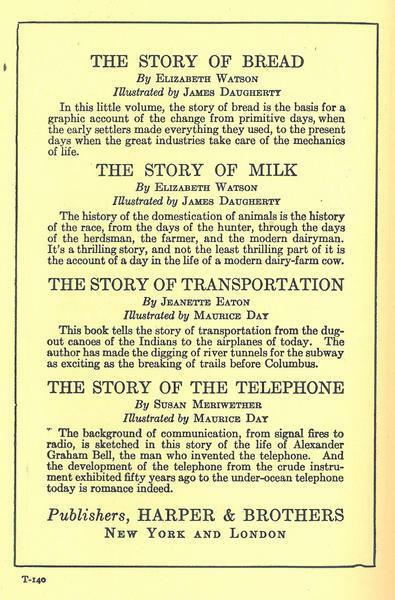 In the 1920s and 1930s, City and Country published a series of nonfiction books on topics related to everyday life through time. 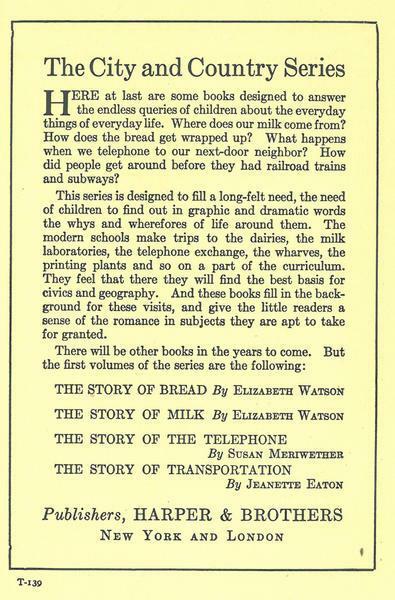 For instance, “The Story of Bread” opens with the experiences of early colonists in the Americas, and concludes with a description of mechanized breadmaking in the modern 1920s. 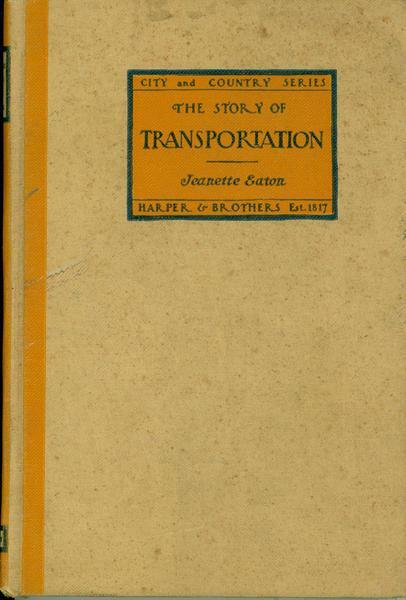 Below is a description of the series, as well as images of the books we have in our collection. There are many more we don’t have however, such as the stories of Music, Iron and Steel, Light, and the Water Supply. 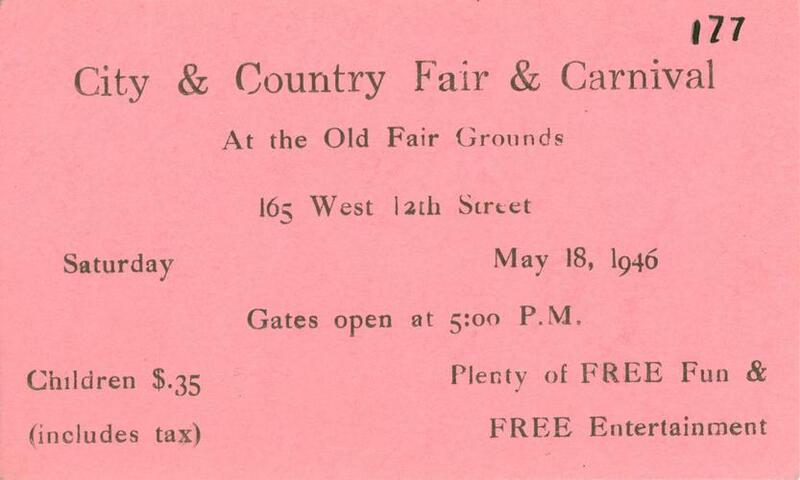 The NYPD raided C&C and parents were arrested for gambling at the annual school Fair in 1946? 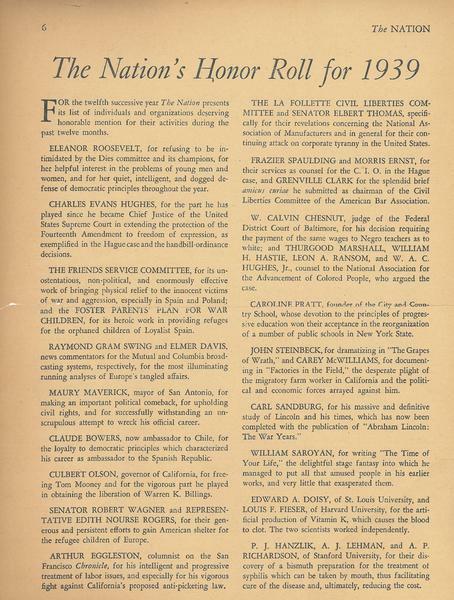 “Several hundred parents who thought they were combining a good deed with a little harmless fun suffered a rude shock yesterday when the fair of the Parents Association of the City and Country School, one of the best known progressive, experimental private schools in the country, was raided by the police.” – New York Times, May 20, 1946. Read the full article here. 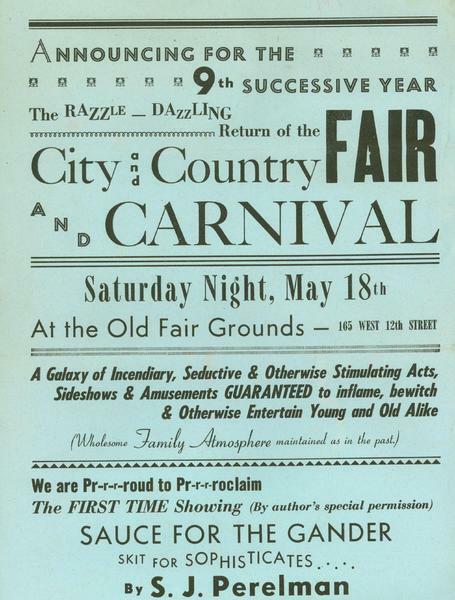 The Fair’s purpose was to raise funds for scholarships, and was known for a true party atmosphere, with performances by the writers and stage actors of the time, “Pratt’s Bar,” and late night gambling (losses going to the scholarship fund) including roulette and slot machines—confiscated by the police! Tuition costs ranged from $275-$525 annually. The Fair usually raised around $2,000. article on the "games of chance" confiscated by the police from the C&C Fair. 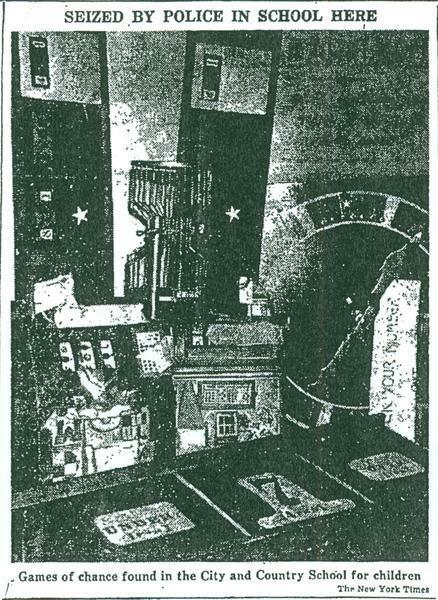 Image in the May 20th, 1946 New York Times article on the "games of chance" confiscated by the police from the C&C Fair. 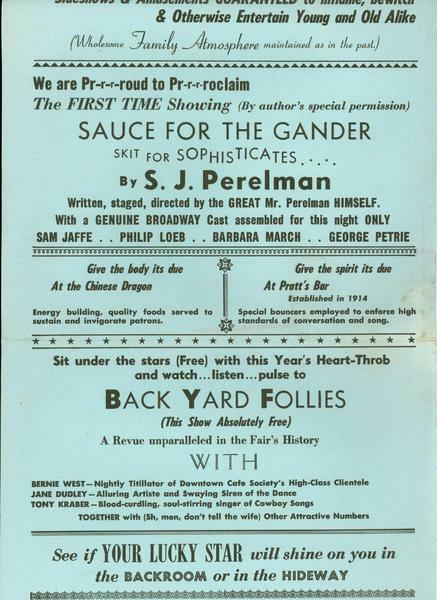 Poster advertising a skit written by humorist SJ Perelman, performances by Bernie West, Jane Dudley and Tony Kraber, lavish food and drink, and both wholesome and scintillating activities! Invitations printed on the same Chandler Price treadle presses still used by the XIs! What family of famous artists worked as janitors and an art teacher at City and Country during the Great Depression? 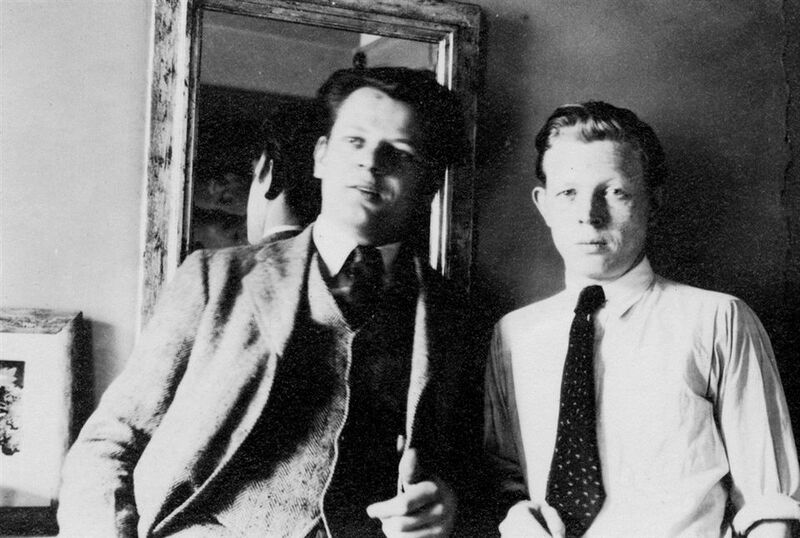 In the early 1930s, Jackson Pollock and Sanford Pollock worked at City and Country as janitors, while their brother and fellow artist, Charles Pollock, taught art. 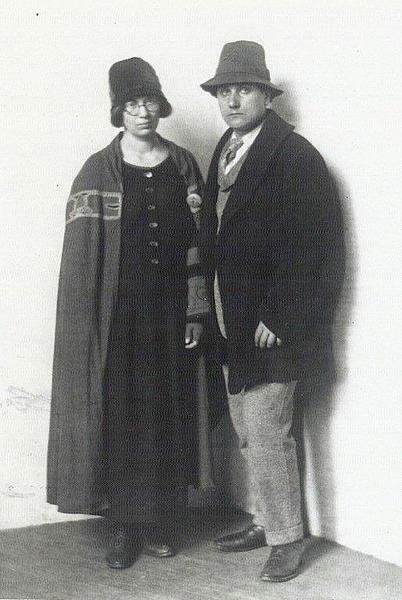 The Pollock brothers had studied with C&C parent and famed muralist Thomas Hart Benton, and Jackson was also a close personal friend of Caroline Pratt’s partner, Helen Marot. 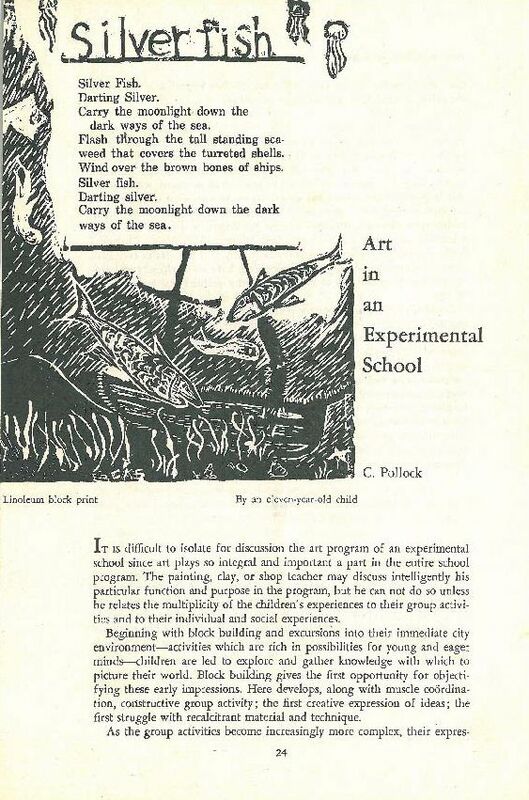 While at C&C, Charles wrote an article on Art Education, Art in an Experimental School. Read the full piece here. 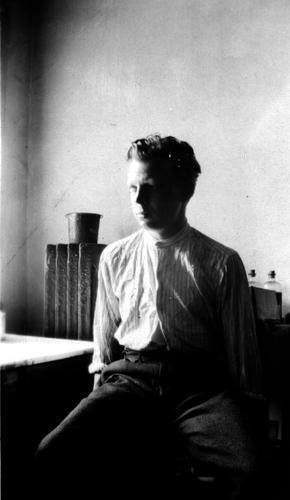 Pratt wrote to Jackson Pollock after the sudden death of Helen Marot in 1940, which affected them both deeply. Read the letter here. She also sent a congratulatory note to him during his solo show at Peggy Guggenheim’s Art of This Century Gallery in New York in 1943. Read it here. 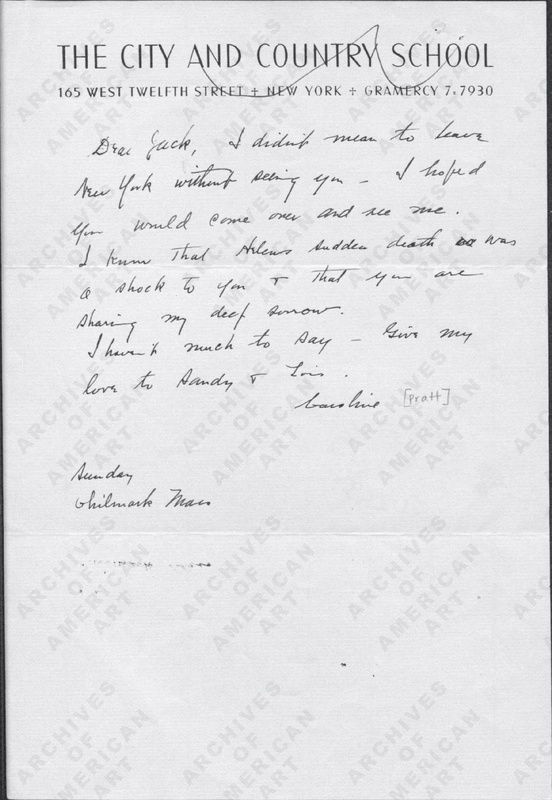 The letters are made available digitally by the Smithsonian Archives of American Art Jackson Pollock and Lee Krasner papers, circa 1905-1984. Read more about the Pollocks and their relationships with C&C and Helen Marot in Jackson Pollock: A Biography By Deborah Solomon here, and Reframing Abstract Expressionism: Subjectivity and Painting in the 1940s By Michael Leja here. Caroline Pratt was named a “Notable Person of the Year” by the Nation magazine in 1939? Pratt's excerpt in the "honor roll" of 1939: "Caroline Pratt, founder of the City and Country School, whose devotion to the principles of progressive education won their acceptance in the reorganization of a number of public schools in New York State." 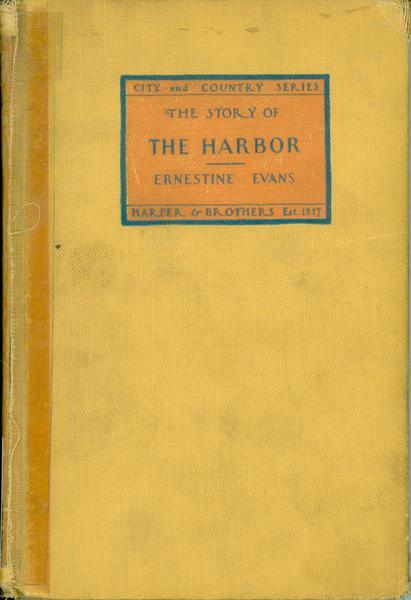 She was listed alongside First Lady Eleanor Roosevelt and writers John Steinbeck and Carl Sandburg, among others. 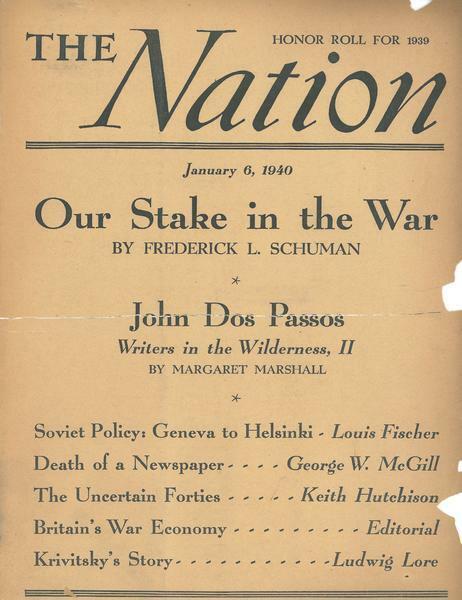 Cover of the Nation honoring Pratt, from the Pratt papers of the C&C Archives. Read the text of the honor roll here. 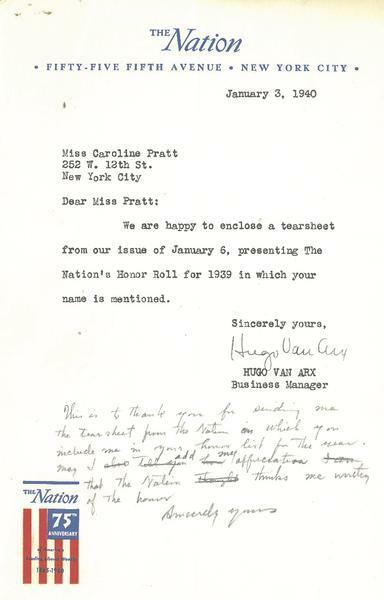 Letter from the Business Editor of the Nation to Caroline Pratt informing her of the honor. 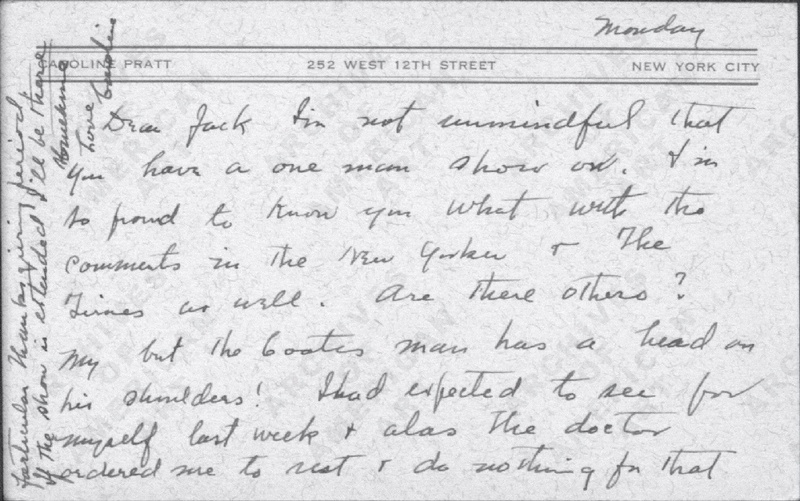 Pratt's acknowledgement letter draft is handwritten on the bottom. From the Pratt papers of the C&C Archives. Read the letter here. 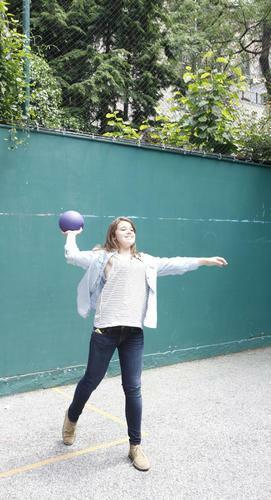 The true story story behind the ever-popular Yard Game JBMK? 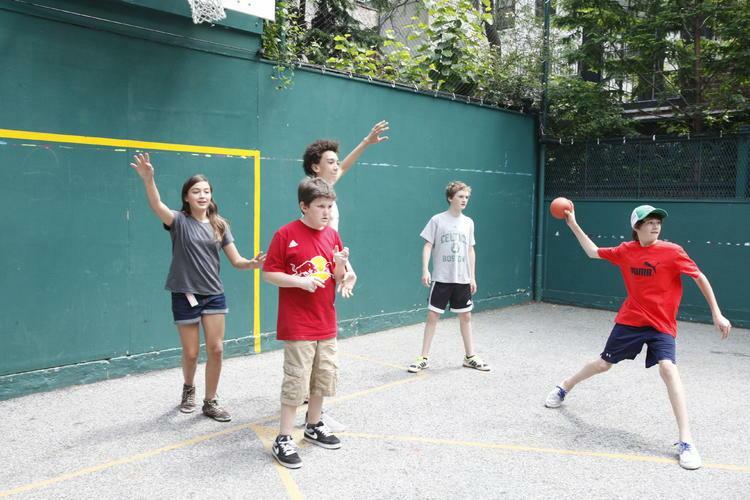 JBMK, the C&C Yard favorite, stands for Jail Ball Max Kostow, and is named for its inventor! Within a week...every single time we were in Yard we voted for JBMK. 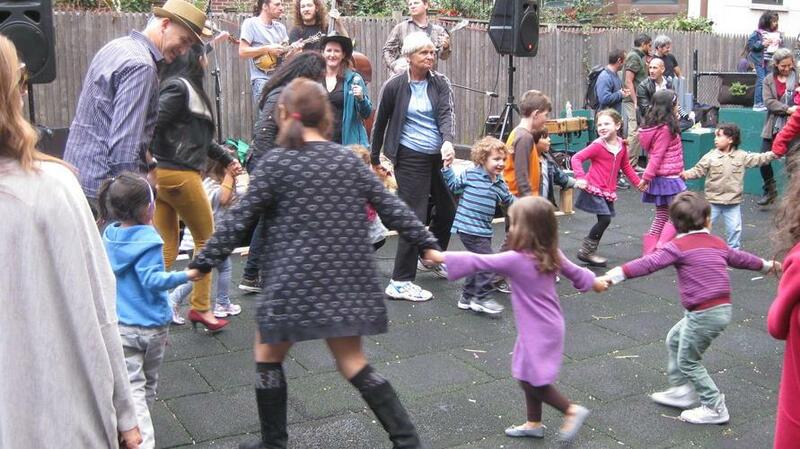 Morning Yard, Yard, Afterschool Yard; we couldn’t wait to play JBMK!... It’s really amazing to me that JBMK has lasted this long. Being passed down from class to class for 16 years, it’s probably one of my greatest contributions to the world at this point in my life. Max, we couldn’t agree more! Read Max's full recollection of the evolution of JB to JBMK here. 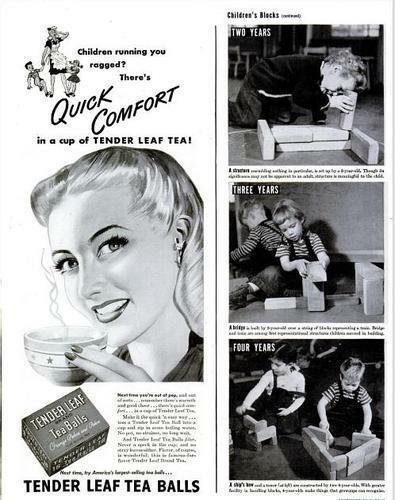 City and Country’s iconic unit blocks were featured in the February 12, 1945 issue of Life Magazine? "A child can put them together in an almost unlimited number of combinations and make them express his most complex inspiration." 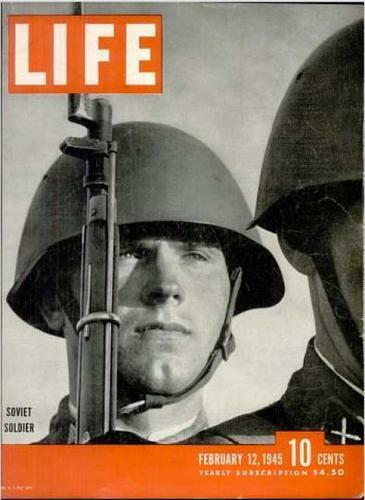 C&C students were involved in the war effort during WWII? During the War, there was a scarcity of materials and labor. C&C students formed repair squads to fix home appliances during Shop. The work of the C&C student repair squads was documented in this WWII newsreel in 1942. Click the arrow on the video to view this fascinating footage! Attention: Alumni! Email us at alumni@cityandcountry.org if you know anything about the repair squads or someone who was featured in the film. Over the years, the Jobs held by each group have swapped, changed and evolved? 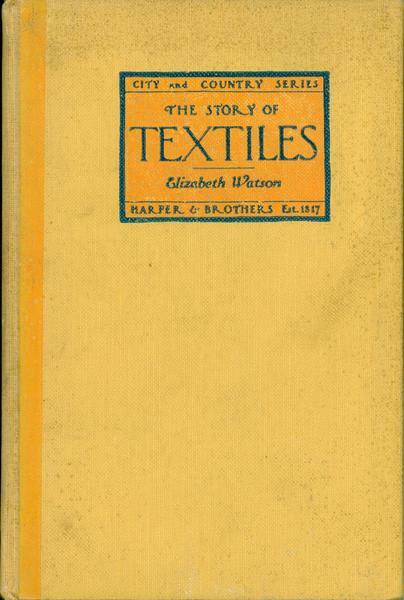 At one time, the XIIs were the official school weavers. Over the years, groups have held a variety of jobs. 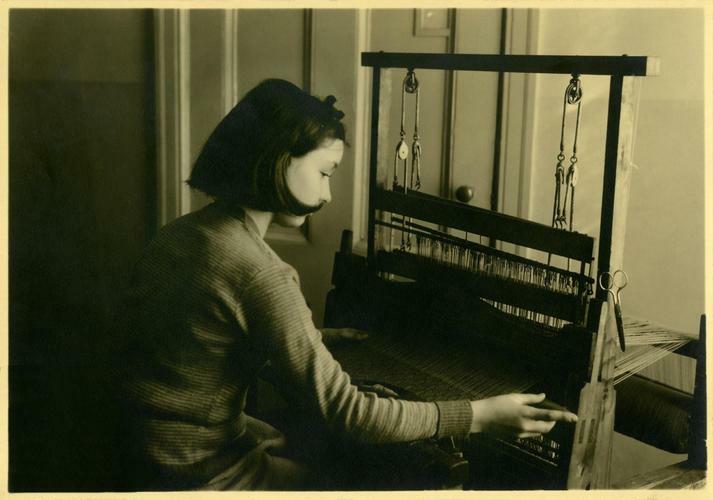 Students have worked as waiters, weavers, toy-makers, school photographers, and handymen, to name but a few. 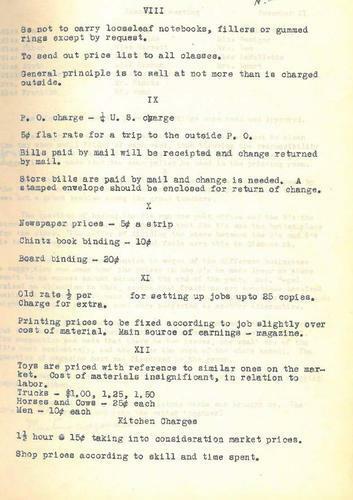 In 1929, school notes describe job prices and fees. At that time, the VIIIs ran the School Store, the P.O. was staffed by IXs, the Xs printed the Newspaper, the XIs were (and continue to be) the Printers, and the XIIs made toys. 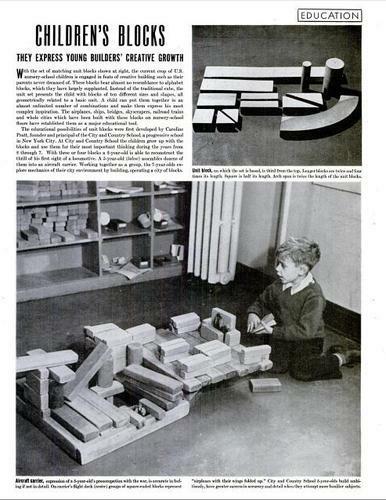 An XIs journal describes the toys made by the XIIs for the younger children. 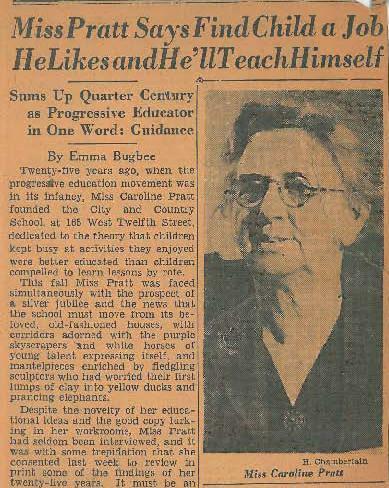 Caroline Pratt was interviewed in 1939 in the Herald Tribune, 25 years after the School's founding, and spoke about the Jobs Program. Why we call it the "River Yard?" 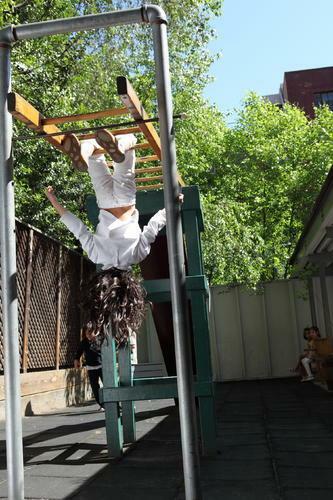 A child plays in the "River Yard" in 2012. Until 1925, there was in fact a river that ran through the River Yard! Children helped design and build this canal with their science teacher in 1921. 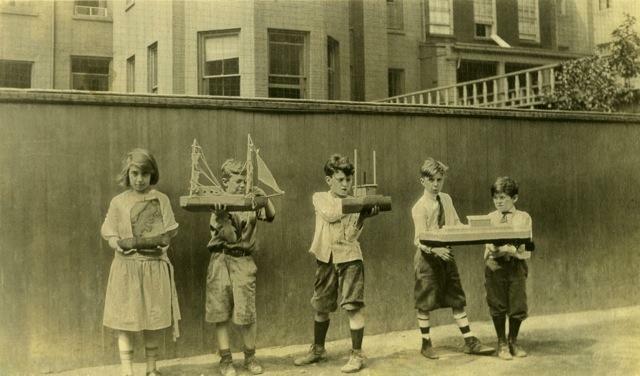 They built models of cities along its shores, and sailed their handmade wooden boats from end to end. Read more about the history of the River Yard in this pamphlet by former C&C teacher, Mary Hansen. C&C has held an annual festival or fair for nearly 80 years? How we got the “country” in City and Country School? 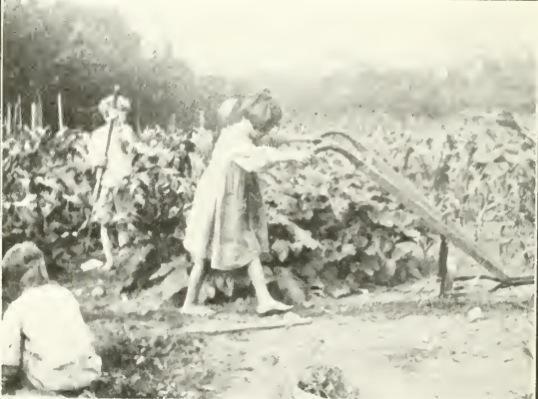 From 1917 until 1923, the School owned a farm in Hopewell Junction, NY. 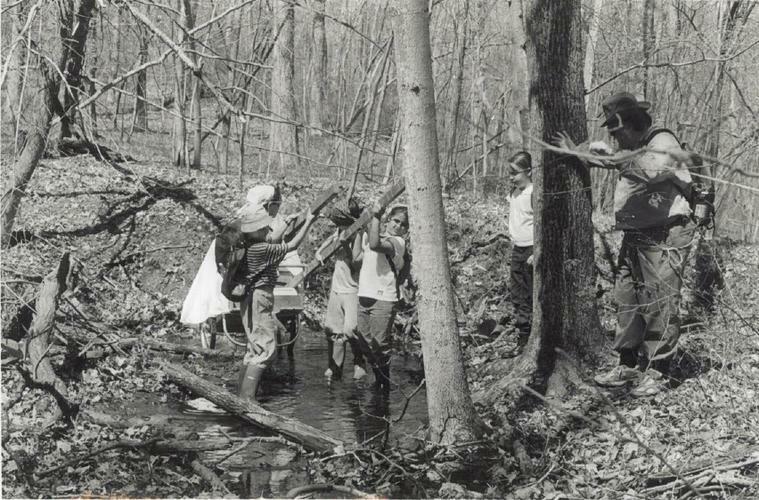 Children worked the farmed, studied science, and enjoyed time outside the city. 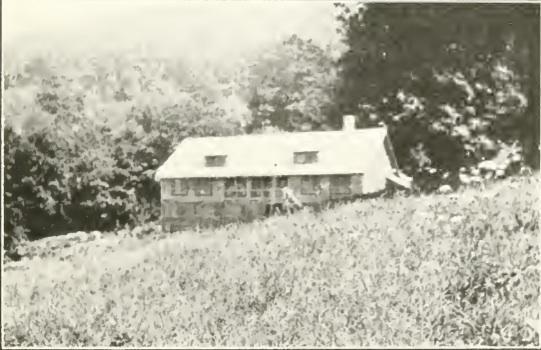 (The farmhouse circa 1919) Read Caroline Pratt's "A Summer Country Play School" here. The tradition continues today with the IXs Country Trip. Caroline Pratt invented unit blocks? 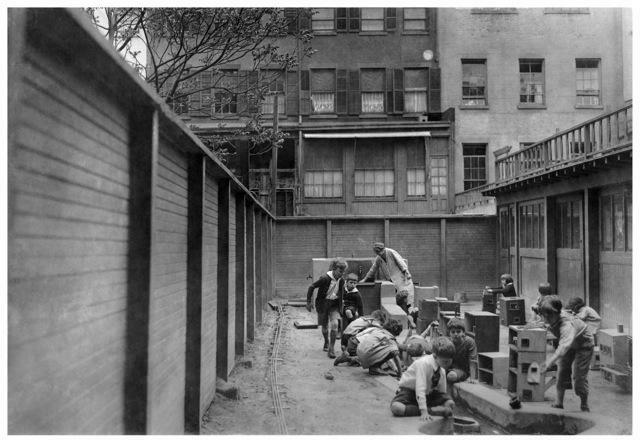 Caroline Pratt developed unit blocks in 1913 for her students at the Hartley Settlement House. They formed the core of the program when she opened the Play School the following year. 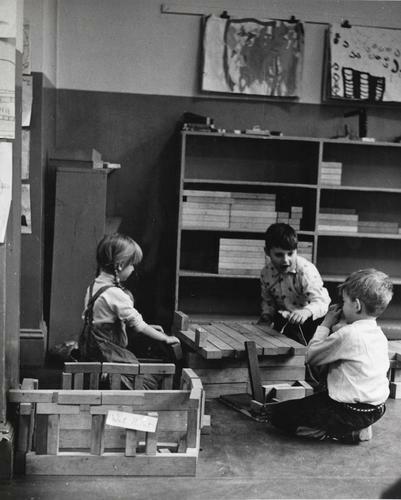 As she was developing ideas for her new school, she envisioned a community of children who could reproduce the world and its functioning and she sought a flexible and adaptable material that children could use to do it. 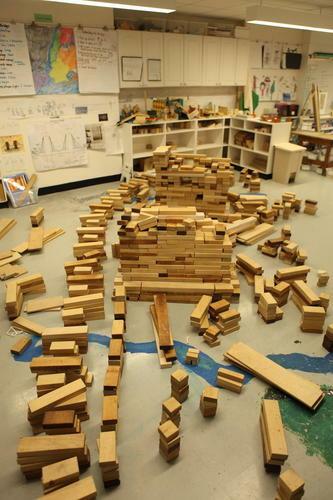 Wooden unit blocks are one of the basic materials used every day by children in Lower School Groups at City and Country School and in homes and classrooms around the world. Read more about the C&C BLocks Program here. 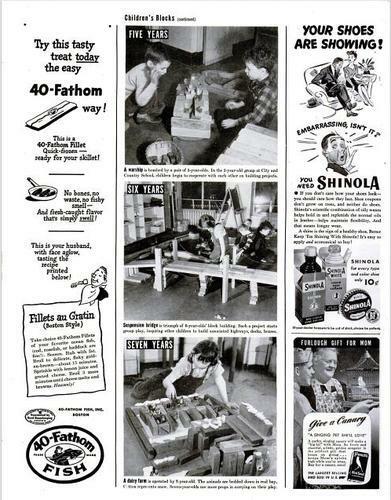 Using her woodworking skills, Caroline Pratt launched a business venture in 1909? 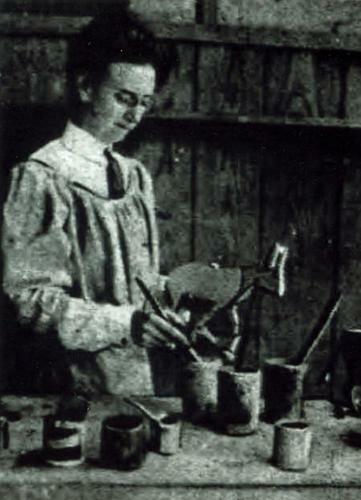 (Pratt finishing "Maude the Blue Mule" in 1910) Caroline Pratt designed, manufactured and sold a set of dolls she called Do-Withs. 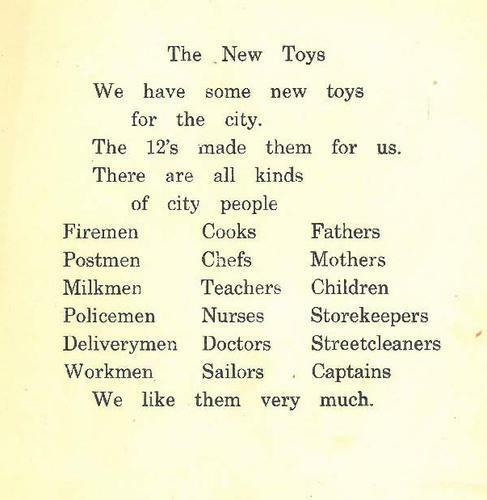 Read an article in the New York Herald from 1910 on Pratt's approach to toys and children's materials here. 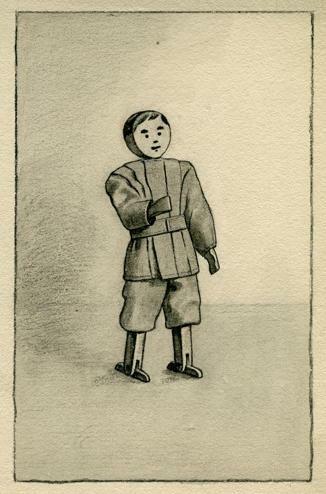 A boy from Pratt's original sketches of her line of Do-With toys. Caroline Pratt was a woodworking teacher before she founded C&C? 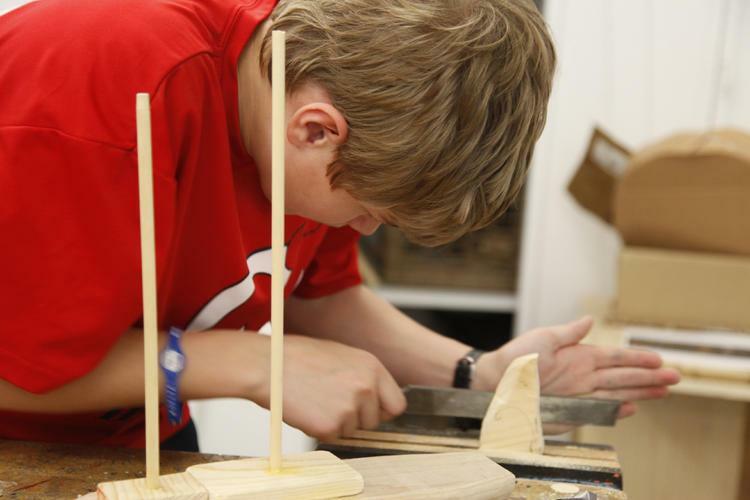 (A student concentrating on a shop project, 2012) Read more about C&C's commitment to woodworking here. 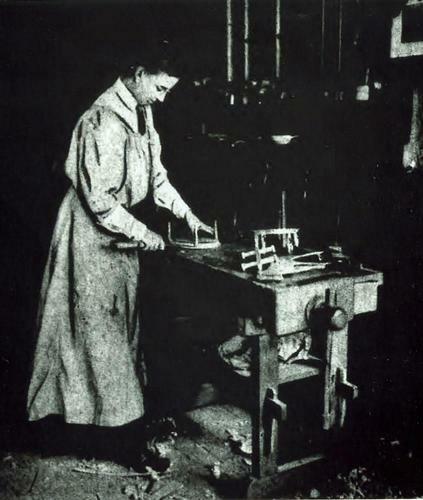 (Pratt at the wood bench, 1910) After getting her degree from Teachers College, Pratt taught woodworking and shop to other teachers, as well as to children at Hartley House, a settlement house on the West side. 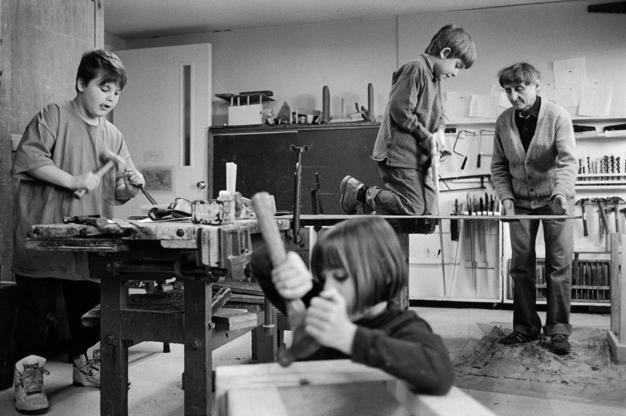 (Children in the Shop,1990) Working with wood has always been central to the C&C program, allowing children to reinvent their world and studies through the design and construction of useful and creative objects. 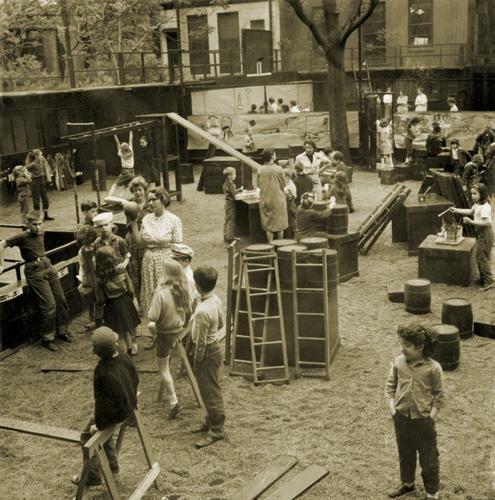 City and Country School was originally named the Play School? 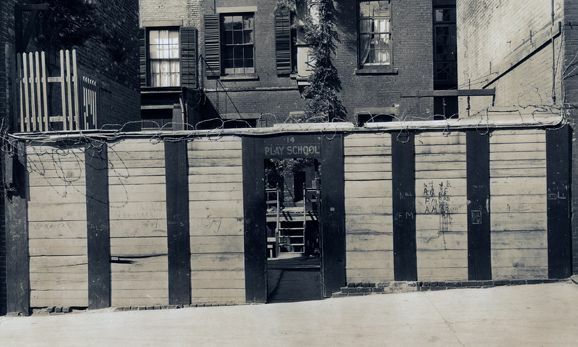 14 MacDougal Alley, the site of the School from 1916-1921. "PLAY SCHOOL" is seen in paint at the front entrance to the School. The name changed to City and Country School around 1921, at the request of the children.